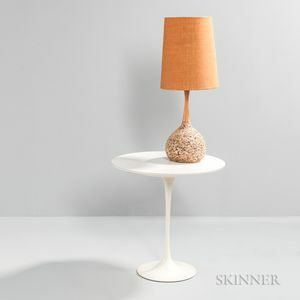 Occasional table in white, with Knoll Associates label, lamp with cloth shade, teak neck, and cork base, respective ht. 20 1/2, 23, table dia. 20 in.